Currently, Jio and Airtel are offering prepaid recharge plans that offer unlimited data, voice calling and SMSes benefits. Airtel's Rs 19 prepaid recharge plan offers 200MB of 2G/3G/4G data for a period of 2 days. 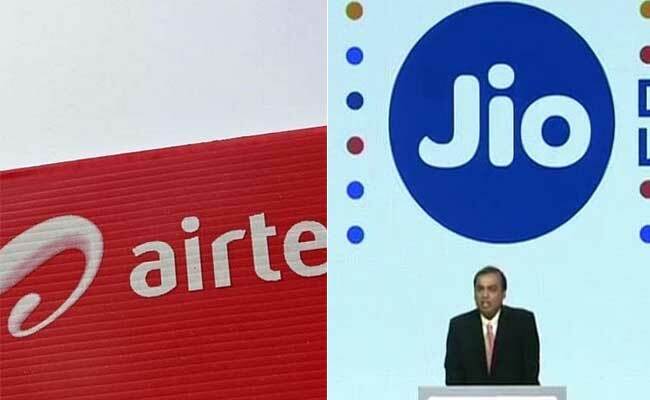 Reliance Jio and Bharti Airtel are currently involved in a data war. These telecom operators keep on coming up with new offerings in order to woo their customers. Currently, telecom incumbents are offering a bunch of prepaid recharge plans that offer unlimited data, voice calling and SMSes benefits. There are some prepaid plans under Rs 50 also that are highly popular among the subscribers. Reliance Jio and Airtel both have prepaid plans priced at Rs 19 and Rs 49 which come with data and calling benefits. Airtel's Rs 19 prepaid recharge plan offers 200MB of 2G/3G/4G data for a period of 2 days. Unlimited local, STD and roaming voice calls are also bundled with this plan. 100 free SMSes are also offered with the plan. The validity of the plan is 2 days. Airtel recently announced a new prepaid recharge plan priced at Rs 49 which offers 3GB of 4G data for a period of 1 day. Airtel's all-new Rs 49 prepaid recharge plan with 3GB data is available only for select circles. Subscribers can log in to 'My Airtel' application or Airtel's website and enter mobile number to check the validity of the plan. Jio's prepaid plan priced at Rs 19 offers 0.15GB of 4G high speed data for one day. The internet speed gets reduced to 64Kbps once the data limit is exhausted. Free and unlimited local, STD and roaming voice calls are also available with this plan. This prepaid recharge plan also gives 20 free SMSes. Subscribers also get complimentary subscription to suite of Jio apps. The validity of the plan is one day. Jio's Rs 49 prepaid recharge plan offers 1GB of 4G data for a period of 28 days for JioPhone users. After the completion of daily data limit, the internet speed is reduced to 64kbps. Jio's Rs 49 prepaid plan also offers unlimited local, STD and roaming voice calls. This prepaid recharge plan offers complimentary subscription to Jio suite of apps including Jio TV, Jio Music, and Jio Money, among others. 50 free SMSes are also available with this plan. The validity of this plan is 28 days.